Hank McGregor have had a great year. Winning the Marathon World Champs in Copenhagen and the Dragon Run in Hong Kong. 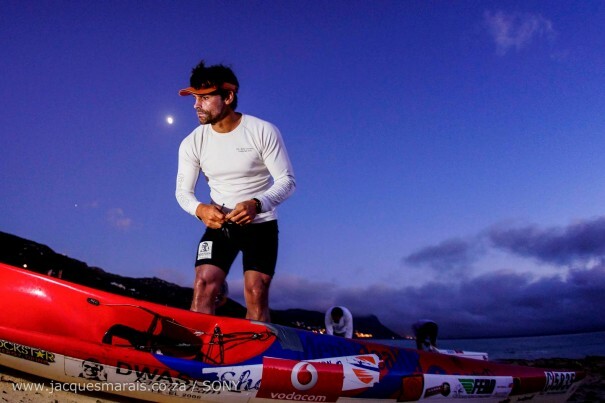 He finished 2013 by winning his 4th Fenn Cape Point Challenge. Nikki Mocke has dominated the women’s class during the Surfski Festival in Fish Hoek and she also won the CPC in great style. 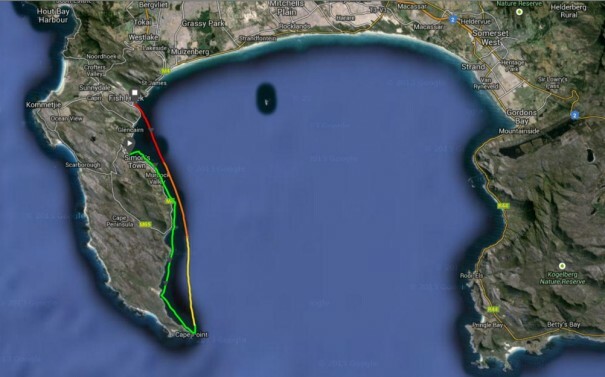 The 2013 Cape Point Challenge started in Simons town, heading south along the coast to the turning bouy at Cape Point and then turning back to Fish Hoek, 49 km in total. The early morning start (the first batch started at 5.30 am) did not scare people away from the 49 km Fenn Cape Point Challenge. 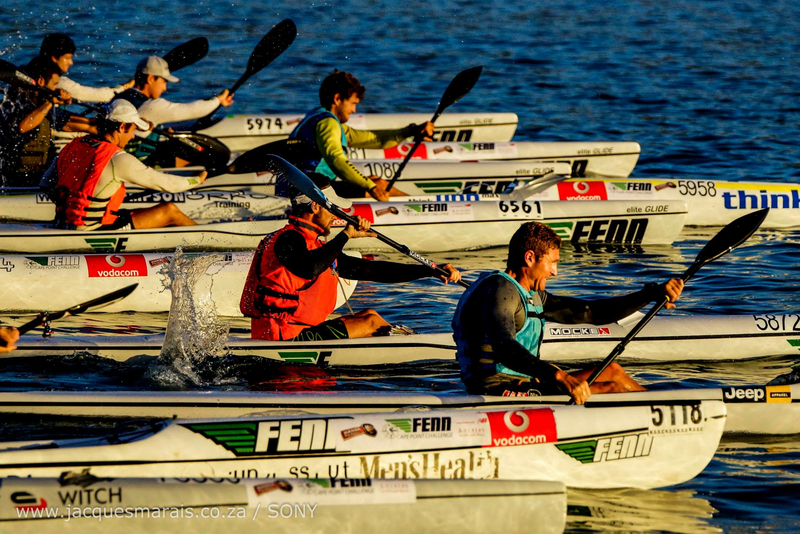 It attracted almost 200 paddlers to a very competetive starting field. The race course was changed to Simons Town – Cape Point – Fish Hoek the day before the race. 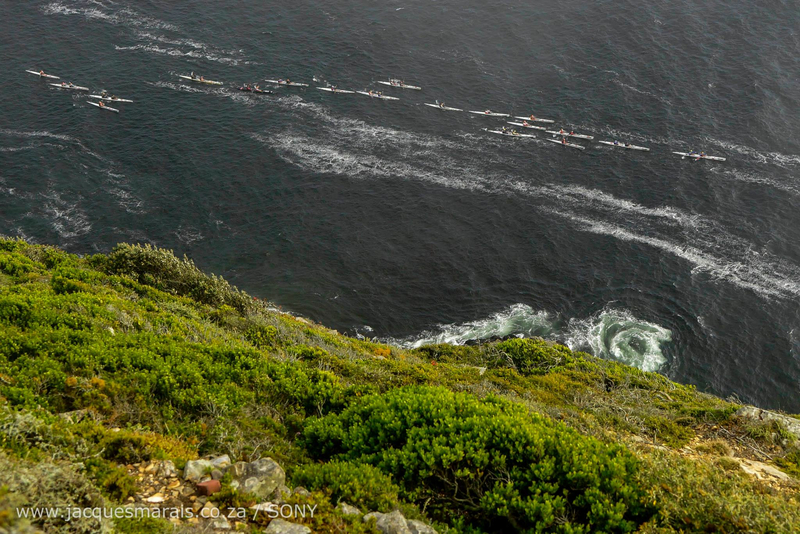 During the first part to the turning buoy, just beneath the Cape Point Lighthouse, the paddlers encountered varied conditions. Paddling through the kelp into the wind (approx 20 kn) made life tough for the paddlers. In some parts with less wind the sea bounced from the cliffs and made it confused. After the turning point the sea was a mess for a start, making it hard finding clean runs. “The strength of the wind was so strong going up to the point however once we turned the runs didn’t justify our battle into it.” – Michael Booth. 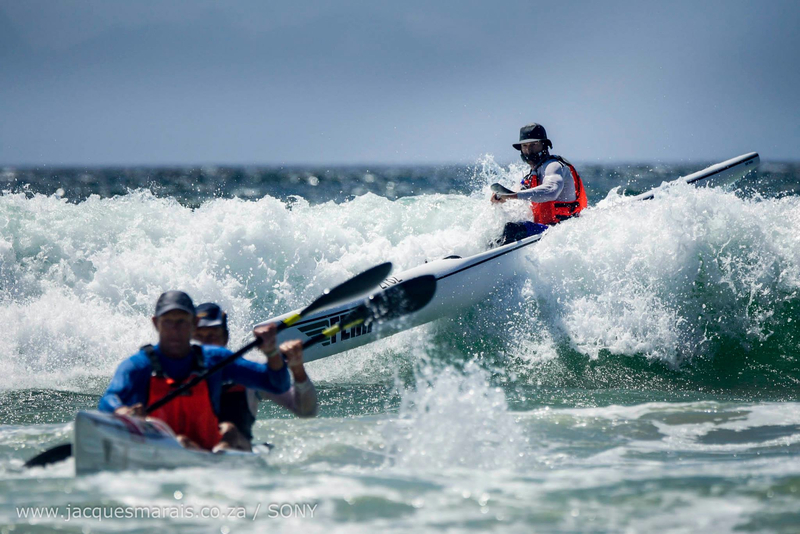 But as they got closer to the finish in Fish Hoek the conditions got better and offered nice runs for those having some strength left. 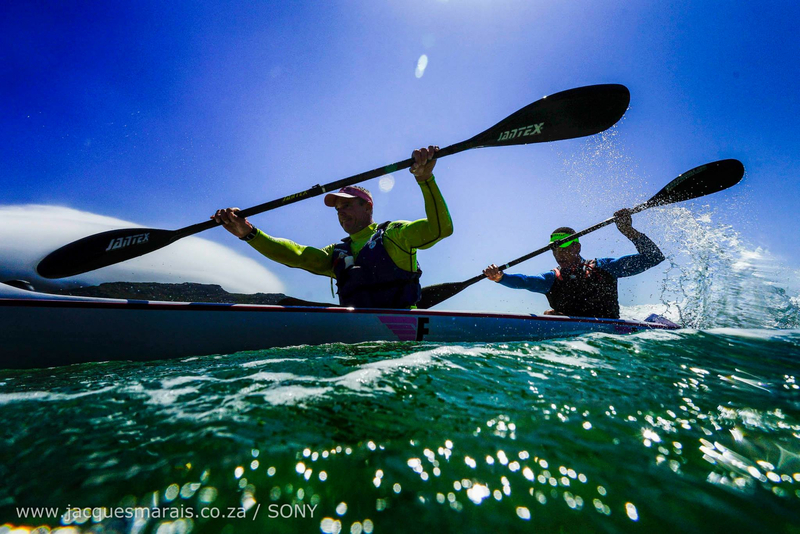 Hank McGregor won, followed by Jasper Mocke and Sean Rice. A really impressive statement came from Kenny Rice, Seans younger brother finishing in fourth place. He is only 18 years old and will have a great future ahead of him if he continue like this. 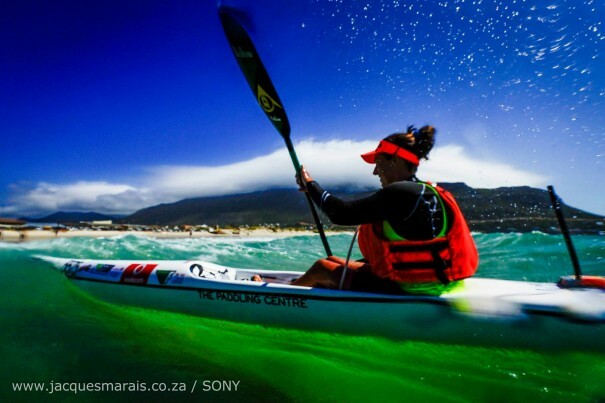 Nikki Mocke won the women’s class followed by Bianca Beawitt and Michele Eray. All excellent photos are used by permission from Jacques Marais. 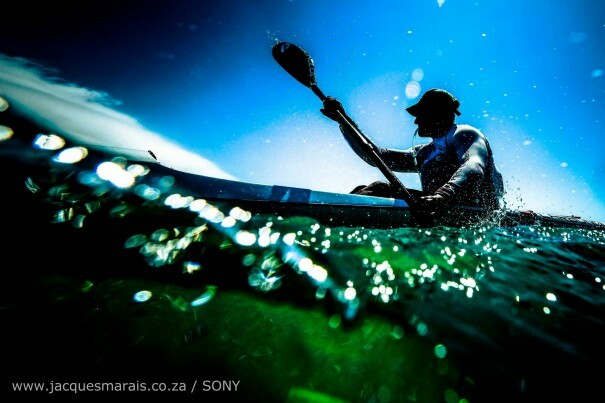 For more photos, check Jacques Marais web site or Facebook page. Preperations before start. Early in the morning. An impressive number of doubles started the race! 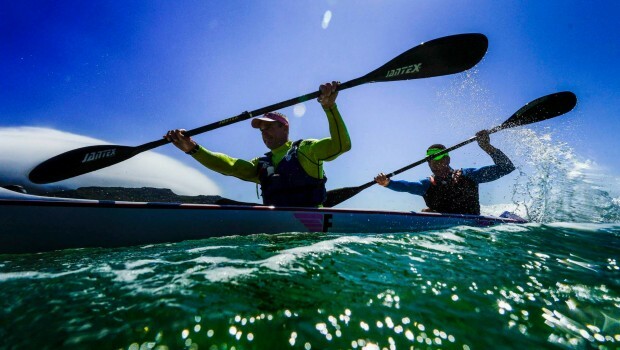 WELL DONE to all who took part in the Fenn Cape Point Challenge. 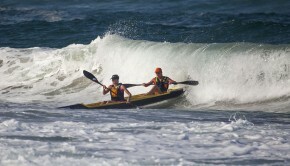 For full results and please visit Capetown Surfski. 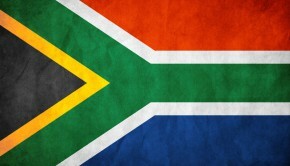 All excellent photos used by permission from Jacques Marais. 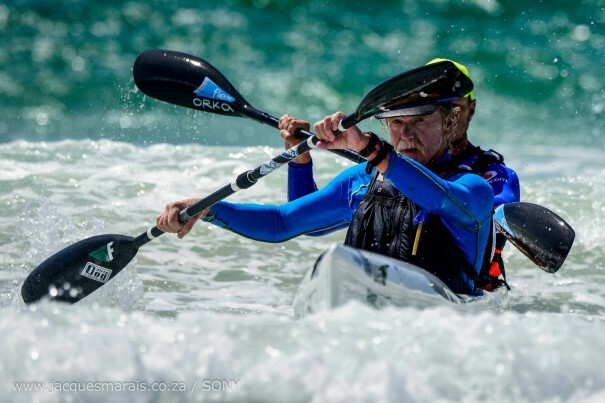 For more photos, check Jacques Marais web site or Facebook page. 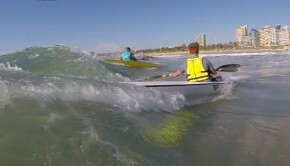 Do not forget to check out the great vide from Cape Town Surfski below.